David Weinstock has been practicing and teaching manual therapy techniques since 1973. He graduated from Johns Hopkins University as a pre-med student. David then traveled extensively in Central and South America learning from native healers and a variety of practitioners. He graduated from the New Mexico School of Natural Therapeutics in 1979. 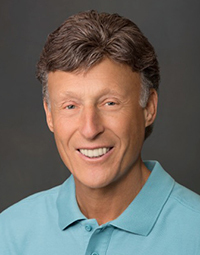 In 1985 David cofounded the Institute of Conscious Bodywork in Marin County California. David’s NeuroKinetic Therapy® bodywork system was developed in 1985 in collaboration with several peers. He taught many different classes at the Institute, including advanced anatomy, carpal tunnel syndrome, TMJ, and NeuroKinetic Therapy until 2005. David’s book, “NeuroKinetic Therapy, an Innovative Approach to Manual Muscle Testing,” was published in 2010. Since then it has been translated into Japanese and Korean, and is now in its second edition. David now travels nationally and internationally teaching chiropractors, physical therapists, personal trainers, massage therapists, and Pilates instructors. David maintains a busy private practice in Marin County California, using his NeuroKinetic Therapy® bodywork system to treat athletes and weekend warriors alike. Acute and chronic injuries and conditions are assessed and rehabilitated, and the client is sent home with an individualized exercise program. David enjoys living in beautiful Marin County with his wife, daughter, and pets. He is an avid hiker, cross-country skier, and tennis player. He is in contact with people from around the world sharing knowledge and information.